The “Office of the Future” concept is provocative, sustainable and flexible . The “Office of the Future” concept is Futurespace’s latest exhibition design project. 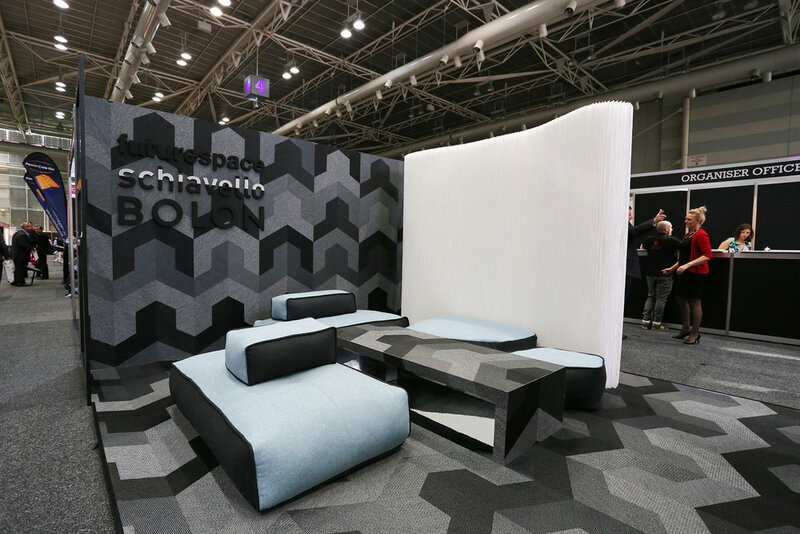 A collaboration between Futurespace, Schiavello and Bolon the Office of the Future was designed for Office* Expo’s inaugural 2013 Australian exhibition at Sydney Convention and Exhibition Centre. 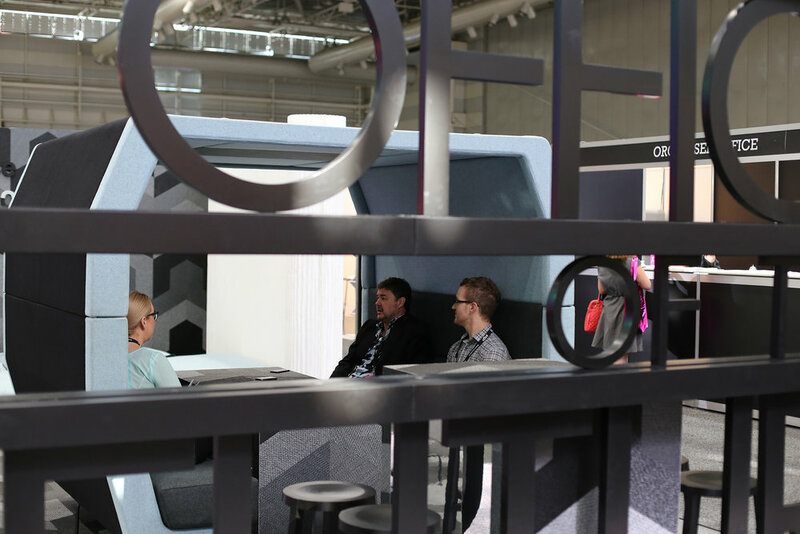 Futurespace was invited by the exhibition organisers to create a provocative space that engages people in conversation and debate around what the Office of the Future will represent. The concept revolves around a multi-use and agile space, which offers flexible work settings such as team, breakout and hub spaces within a limited area. The design leverages recycled and demountable materials to create a collaborative working environment in a multi-use space that enables users to reconfigure the environment to suit their needs. Designed to support the workstyles of today and tomorrow, offering privacy and openness for the ‘office of the future’.